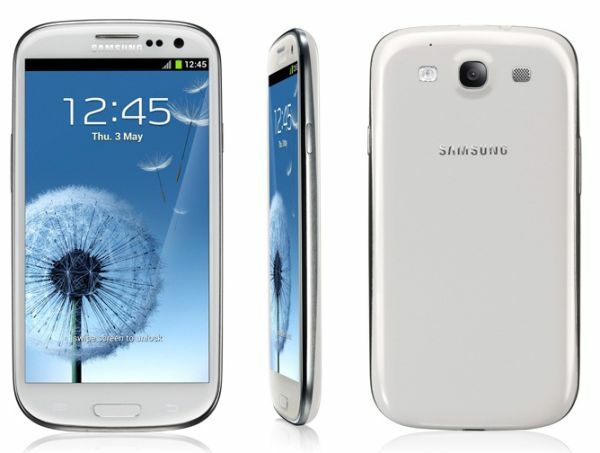 The Samsung Galaxy S3 is one of the most popular devices around, and for good reason. For a long time, and even today, Galaxy devices were considered the cream of the crop of the Android ecosystem. Their accessible price, along with future-proof specs, made them very attractive for new buyers looking to own a Android device, and experienced users knew they would get a well supported device by the community, which turned out to be true. Thus, there is a plethora of modifications available for these devices, most of them requiring root, so today I will provide a step-by-step guide to rooting your Galaxy S3. Disclaimer: Unlocking and rooting your Samsung Galaxy S3 may void its warranty. I, nor DroidLessons, nor anyone else assumes liability for any problems, including bricking, that you may encounter. I will be using CF Auto-Root 1.0 for this, which only supports a limited number of S3 models, and you can see the supported models on this post. You can check your model by going into Settings >About Device. Do not use this if your model is not supported, as it will probably cause problems down the line or even brick your device. You can find the necessary files and instructions on this thread. I will be posting more detailed instructions with images in here, but you should probably read both of them before you attempt this, especially if you don’t have a lot of experience doing this. The thing about CF Auto-Root is that it doesn’t really replace the stock recovery, keeping everything stock, except rooted. Usually, you would have to use a modified recovery in order to maintain root, but this method lets you keep the original recovery by re-flashing it over the modified recovery after the process is done. So, the first thing you need to do is to download Odin. If this link doesn’t work, check the thread, it should be attached on the bottom of the second post. Download it, and extract the contents somewhere. 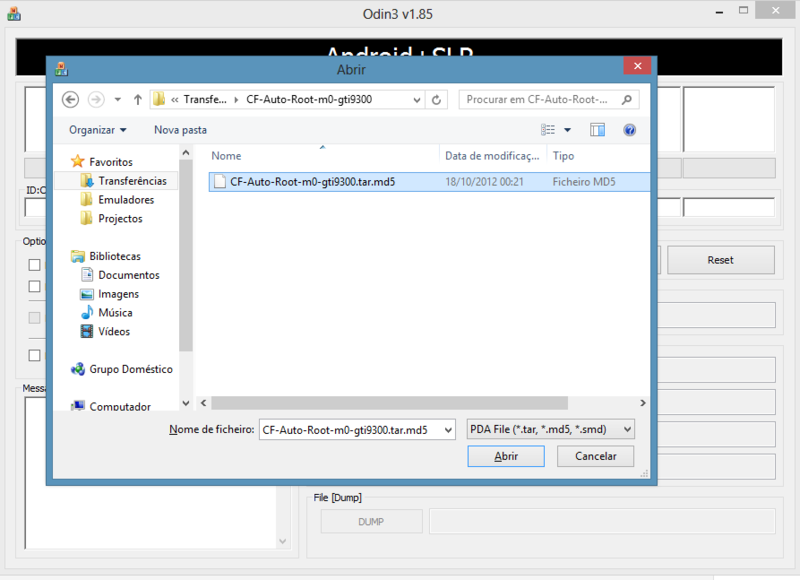 Next, download the appropriate CF Auto-Root version for your device model, and unzip it just like you did for Odin. Make sure you end up with a file with the extension .tar.md5, or else you did it incorrectly. Now, click the “PDA” button. It will open a window asking your to open a file. Point it to the .tar.md5 file you extracted before and press “Open”. Now, connect the phone to your computer. In Odin, make sure that “Repartition” is NOT checked. Now, all you need to do is press the “Start” button. Odin will let you know when the process is done (it shouldn’t take more than a minute) and you should boot Android as usual. Congratulations, your device is now rooted! 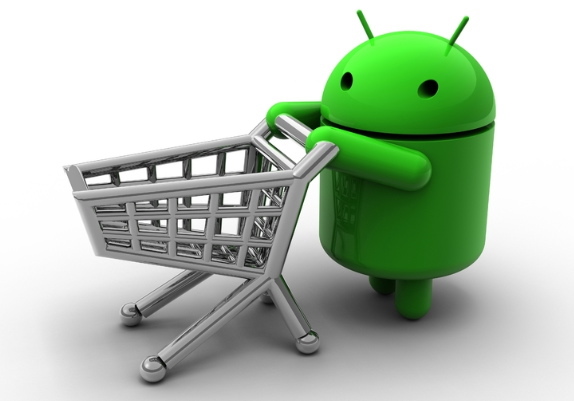 Previous post How to fix low memory & low storage issues on Android Next post Black Friday 2012 Deals for Android Smartphones and Tablets! Obviously, not one of the models supported. Your procedure seems so straight forward I was hoping to use it. Is there another method for rooting my model? 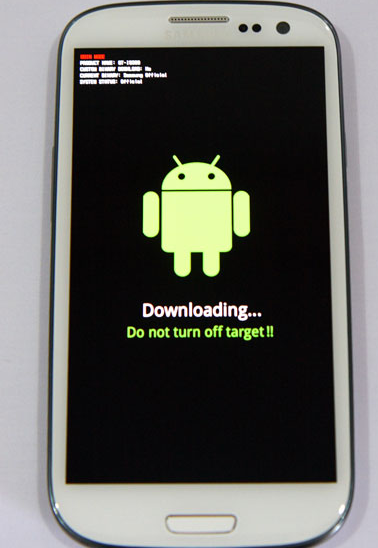 I hope you or someone who sees this can lead me to the procedure I need to root my phone. I rooted my DroidX a couple of years ago with an app called Z4root. I was running Froyo and it couldn’t have been easier, especially with the option to easily unroot and reroot. There’s a guide in http://forum.xda-developers.com/showthread.php?t=1762709 for that model, it uses a different tool but the procedure is similar. I was searching for an article where each and every steps are properly explained and got to see your article.. Appreciate the hard work you have put into writing this article. Thank’s it work’s just fine! Did everything but my phone still says “Downloading… Do not turn off target! !” what should I do? Did you connect the phone to your computer? 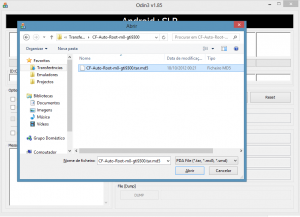 In Odin, did you make sure that “Repartition” was NOT checked? Well i see the process seems simple but i don’t understand the bricking part of the device, is that if you download corrupted files or something? I’ve read the other article about the advantages and disadvantages of rooting a phone but i still dont understand how your phone could get bricked. is it from the company finding out and just bricking your phone? would be nice to have a bit more information on this or another link. the only thing im interested in is rooting my phone and extending the battery and signal for it. nothing major that shouldnt get me in trouble. “Bricking” your device means screwing up your phone software so badly that your phone can no longer function properly and is pretty much as useless as a brick. It can happen a number of ways… usually by not following the instructions properly or sometimes there is a software glitch in the rooting process. simple and straight forward without of all of that tech talk..we need more people like like you that actually help us noobs understand..thanks a bunch! Worked as a charm. Was afraid that rooting will take a lot of time, but this is like a breeze. One thing, didn’t work the first time, but the mistake was mine. Connect the phone as mentioned above, but wait until the the computer tells u that the device is connected and ready to use. Hey Carlos. How do I confirm it? Also odin mentioned 0 success/0 failure. Thanks! 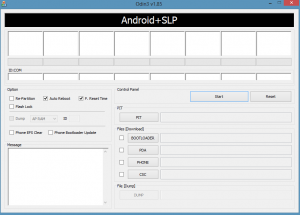 Will this work for android 4.1.1? awesome Carlos, thanks. will give it a go. this will allow me access to the illusive data folder right once ive downloaded a root folder explorer after rooting? ive heard this is a “soft” root, that so? 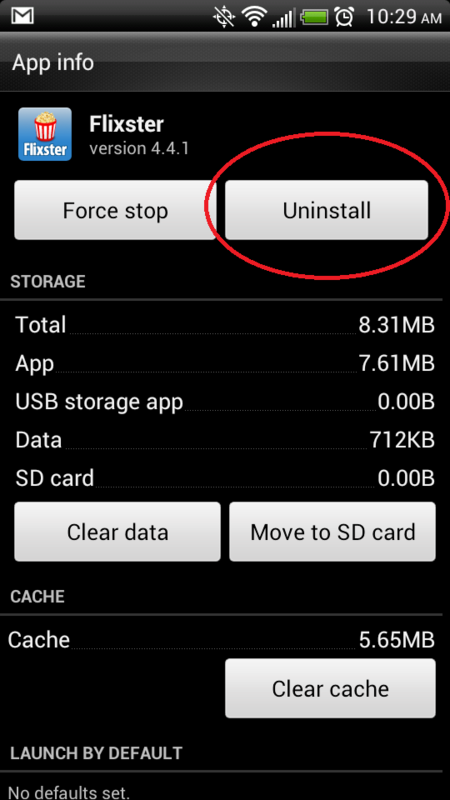 How to unroot a rooted galaxy s3, to unvoid waranty? Thanks in advance. See that there is now a root for I535 Verizon S3, but when running Odin, the root will not process. Says thread failed. Now what? A straight forward method. I did managed to root my phone successfully about two weeks ago. Now Samsung is rolling out the new update, but my phone can not get OTA updates because it states that “your phone has been modified. Software updates are not available”. Do you have a solution? Works perfectlu, but now that the phone is rooted it will not update software, it says that the phone is tempered with and wont update. Can I teporary unroot, update and then root again, or something else? Thanks anyway for an easy and simple root. HI, i rooted using this method, yes works great. how ever i made the mistake of disableing some samsung apps and services after rooting, now i cant get the touch screen to work again, how can i reset to default? thanks, any help is appreciated. I have successfully rooted my phone with your method before but with the recent update it unrooted my phone obviously i didnt realise this was going to happen, so i have tried this method again after the update and it appears to work on odin then when i try to check on root checker it says ” please wait for root check to complete , system appears to be running very slow ” so does this still work after the update? Leave a Reply to Marko Click here to cancel reply.